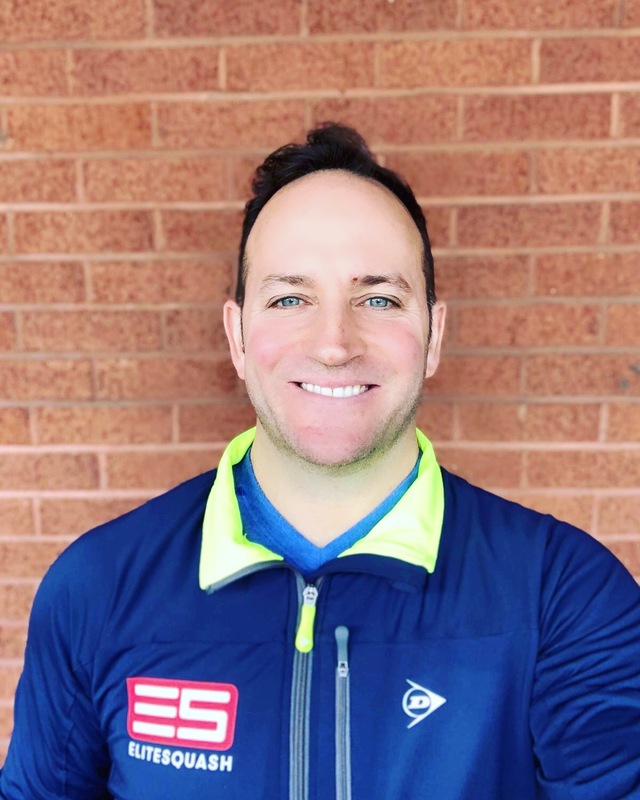 I work as an immigration lawyer in the U.S., helping athletes, including professional squash players and coaches get green cards and work visas. But I decided to get away from my desk onto the court to work my own squash game for a change. 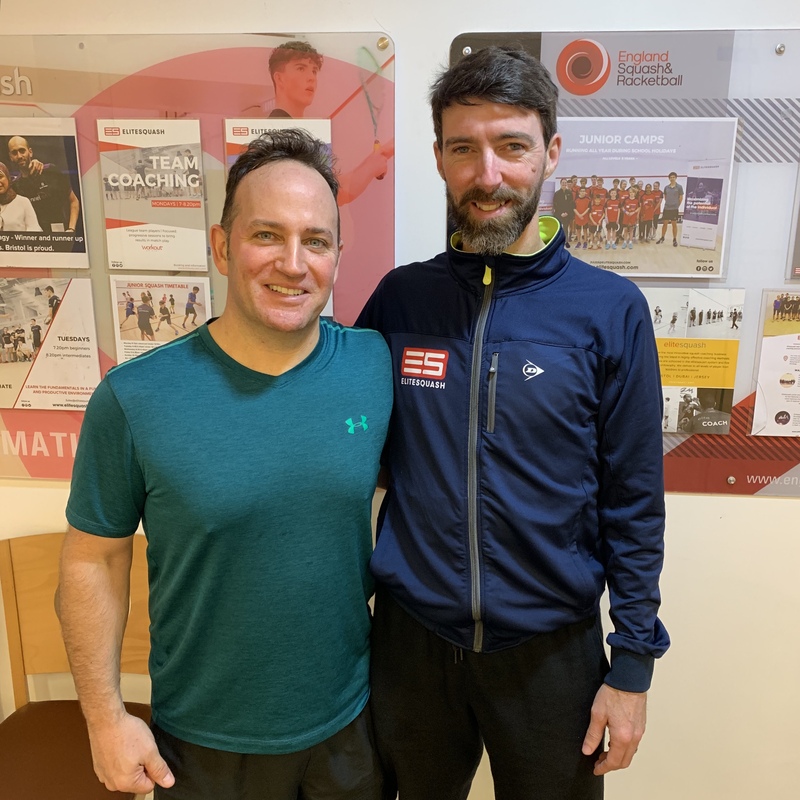 When I first decided to come to Bristol to train with Hadrian Stiff, John, Tom, and the rest of the team at Elite Squash, I had my doubts. Of course, Hadrian and Elite Squash are renowned for working with Mohamed and Marwan El Shorbagy, Joelle King, Todd Harrity, and other top PSA players and juniors. But would an ordinary club player like me–a mere mortal–be able to benefit from their coaching? And also, realistically, how much could my squash really improve in just one week? The experience shattered all my expectations. In just one week, I’ve improved so much that my some aspects of my squash game are now almost unrecognizable. At times, while playing, I’ve had a strange out-of-body experience where I’ve hit a ball so cleanly and with so much effortless power that I thought to myself: Woah! Did I really just hit that shot? Was that really me? The Elite Squash coaching style resonated with me. They teach without rigidly following a fixed set of squash techniques. When I returned from Bristol, our pro noticed that my follow-through was improved. But interestingly none of the Elite Squash coaches instructed me to change my follow-through any specific way. The overall goal is to achieve rhythmic movement and clean ball striking by focusing on the mind-body connection, relaxation, balance, agility, and footwork. These concepts seemed a bit abstruse when I heard Hadrian discussing them in Squash Skills videos. But once on the court, I was able to grasp intuitively how this approach to squash works. Of course, it will take many years and much solo work to absorb these concepts into my game. This learning and training is the journey to better squash that I am now on. Elite Squash is not the least bit elitist. The atmosphere was unpretentious, friendly and welcoming. Players, both men and women, train together on the same court, regardless of ranking or level. In this spirit, the coaches arranged for me to play a match against a female PSA player. Although I was so badly outmatched, she told me that she used the experience to work on techniques such as staying loose and relaxed and moving light on her feet. It was comforting to see a professional player working on precisely the same things I was. Hadrian and the other coaches were extremely supportive. What I thought of as my lousy, flawed squash technique, Hadrian generously described as “massive opportunities for improvement.” He spoke to me about the mindset of a champion, where a negative is turned into a positive. Top players see losses as challenges. My training week was well-organized. Off the court, I worked with Tom Lakos an outstanding personal trainer and fitness expert who was so impressive that I plan to continue working with him remotely. When an injury came up, I was able to get an assessment quickly from Bristol Physiotherapy Clinic, a top-notch physios working inside Workout Harbourside. Overall, I most appreciated that my game was given so much serious consideration and attention. I’m not a professional player, but for one week treated like one. Massive thanks to Hadrian, John, Rich, gentle squash Tom, evil Pro Tom, Rich, Jules, and the others at Elite Squash and Workout Harbourside. To book bespoke packages like Josh, please visit our bespoke page and get in touch.